8,086 of Intel’s 40th anniversary i7 8086K processors are being given away in a 24 hour sweepstake, which opens on June 7, 2018 at 20:00 ET. To save some of you a quick Google, that’s midnight UTC or 01:00 BST June 8. Even if you are 100% loyal to team red, who can say no to a free CPU? 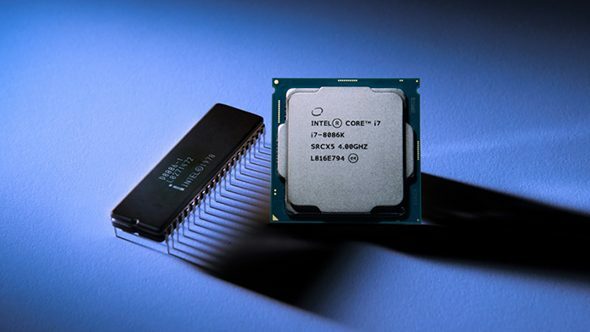 The i7 8086K is a limited edition processor Intel is releasing to celebrate 40 years since the original 8086 microprocessor launched. This microprocessor was hugely successful and the x86 instruction set is still used in the majority of desktop PCs and laptops to this day. Want the very best CPU for gaming available today? Here you go. 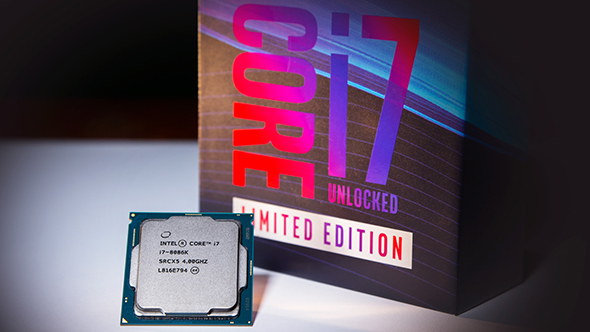 The i7 8086K is almost identical to the flagship Coffee Lake Core i7 8700K, all bar clockspeeds. That means you get a hexacore CPU, with hyperthreading enabled for a total of twelve threads, and 12MB of L3 cache. But instead of the i7 8700K’s 3.7GHz base and 4.7GHz max turbo clockspeeds, the i7 8086K comes with a 4GHz base clock and 5GHz max turbo clock straight out of the box. While most i7 8700K chips will happily overclock over 5GHz, the i7 8086K is expected to be pre-binned for the best performance. As such, it could be a guaranteed silicon lottery winner. To enter the sweepstake you’ll need to visit Intel’s 8086 sweepstake site. Entries are only open for residents of the following countries: USA, Canada, UK, France, Germany, South Korea, Japan, China, and Taiwan. That’s 500 up for grabs in each country, except the US, China, and Germany that will have 2,086, 2,000, and 1,000 respectively. If you aren’t in one of the above countries, or you don’t fancy your chances, you can always pick up the pre-binned chips from retail outlets directly. However, you’ll have to pay roughly $425 for the privilege – although prices could be much higher as stock is limited. Just think back to the initial Coffee Lake launch last October and you probably have a good idea of what to expect.